Blog Quick Quotes: August Club Q with Wendy! August Club Q with Wendy! Hi everyone! Happy Wednesday to you! It's Wendy here and today I'm sharing a card and layout created with pieces from this month's Club Q kits. When you get the kit, one of your projects will be a 2 page layout using a beautiful blue frame diecut. 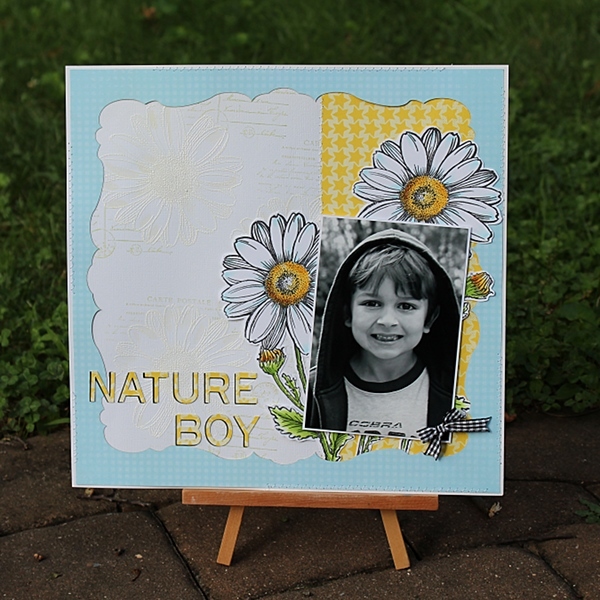 I used the discarded negative from that diecut frame on my layout. I trimmed it a bit to leave a border of white cardstock. 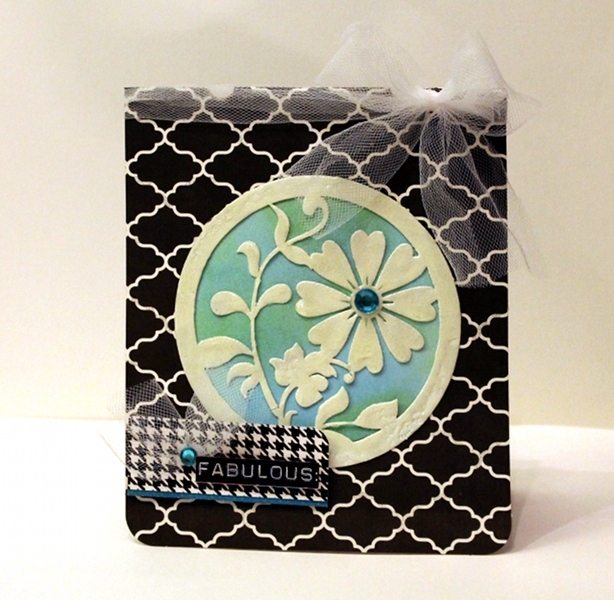 I embossed the white cardstock with stamped images. I colored the daisies with a bit of watered down Lemonade Powder Puff ink. 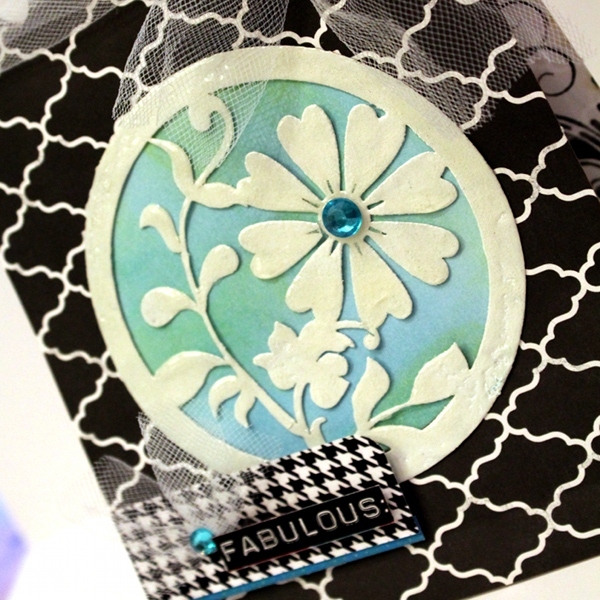 Next I masked the daisies and stamped a postcard image in Limeade. I diecut a title from the star (Back2School) pattern paper in the ClubQ kit. My favorite diecut from the kit is this delicate floral design. I really wanted to create a card from the diecut using one of the window pages from the altered book part of the kit. 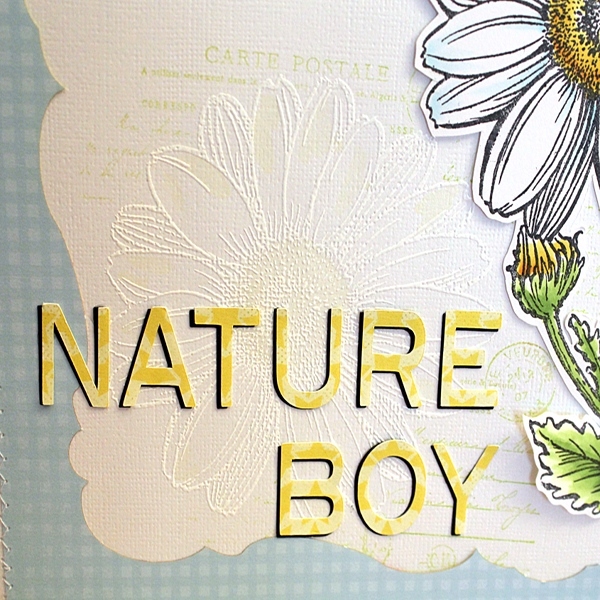 To make the diecut "pop" against the pattern paper of the card, I decided to alter it by embossing it with white embossing powder. To create the blue/green background for the die cut. I blended Baja Blue, Limeade and Blue Hawaiian Powder Puff inks on the cardstock. The kit also comes with some great printed clipart, such as the word labels, that you can cut out to use on your projects. Great LO (love the use of "trash" in it).Would be wonderful in a frame. Beautiful card, great color combination. thanks for sharing.